Adventures in Scrapping: A blog Hop... meet some new designers! A blog Hop... meet some new designers! 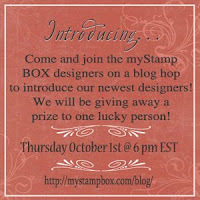 New designs, new designers and another blog hop..... lots of fun stuff over on the myStampBox website this fall. Come on over and join us!